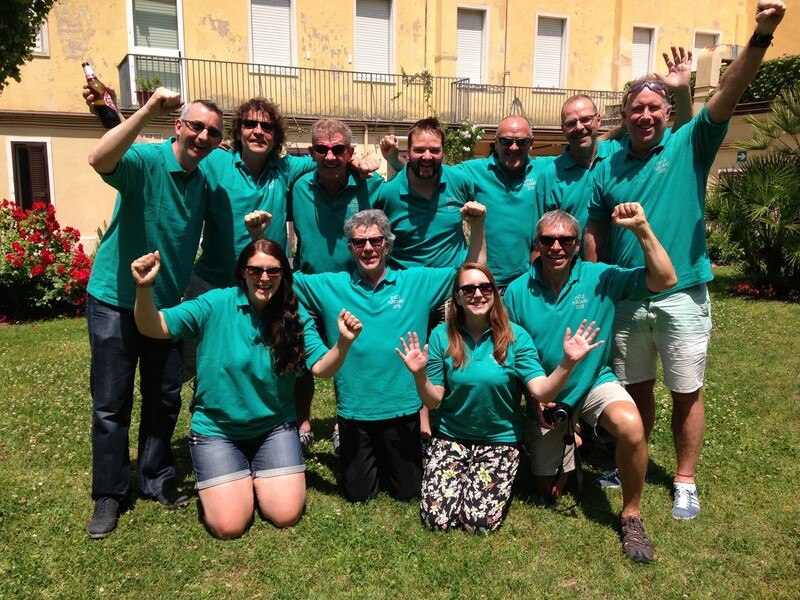 Cycle Tuscany, with 4 great cites in 6 days. 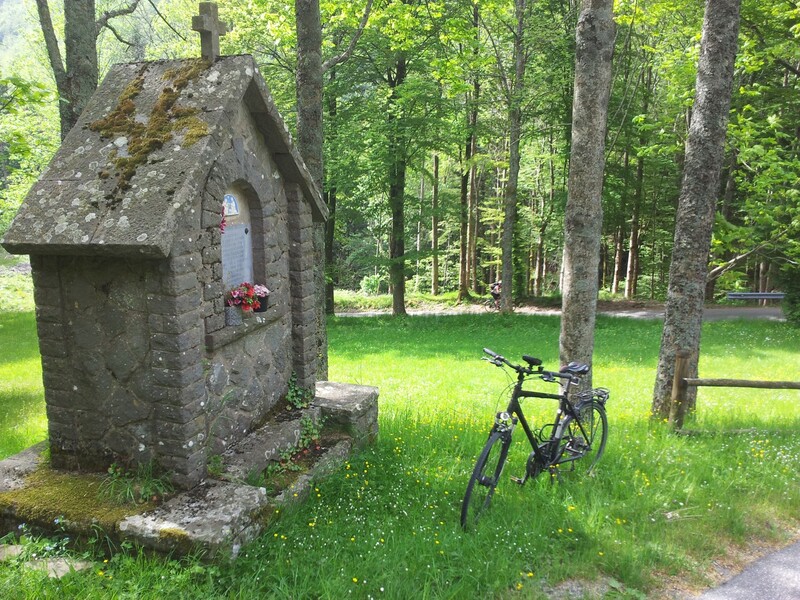 Italy is a great place to cycle. It has impressive cities to visit as well as fantastic countryside – with lots of hills. 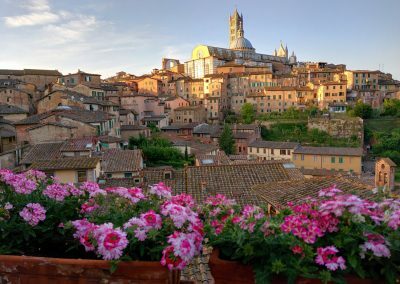 Cities on this trip include Bologna, Florence, Siena and of course Rome. 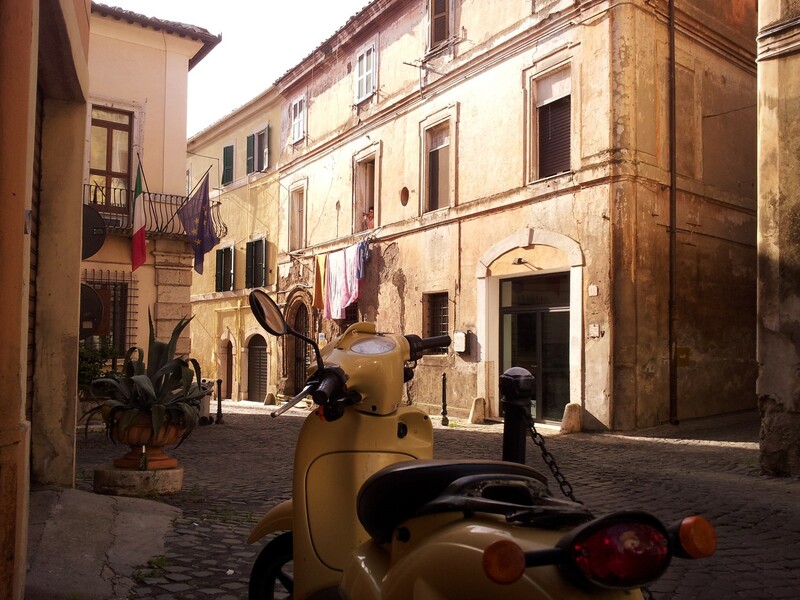 All roads lead to Rome, right? The first route planned was not going to Siena, but instead going SE from Florence, through Arezzo to Rome. However, after some research it was decided that this route was too easy, and pretty much the same sort of flat terrain. So the detour to Siena was planned. This goes through the Chianti region, and the heart of Tuscany. Sure it adds a few miles to the trip, and lots of hills, but the extra work was worth it. 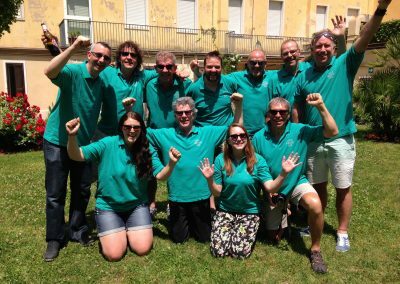 The plan was to fly to Rome, and whilst the van was driven to Bologna with the bikes, the rest of the group took the fast train. Six days of hard work, fun, and fantastic scenery to come. Whenever we choose a route, safety is the first priority, closely followed by fun and excitement. 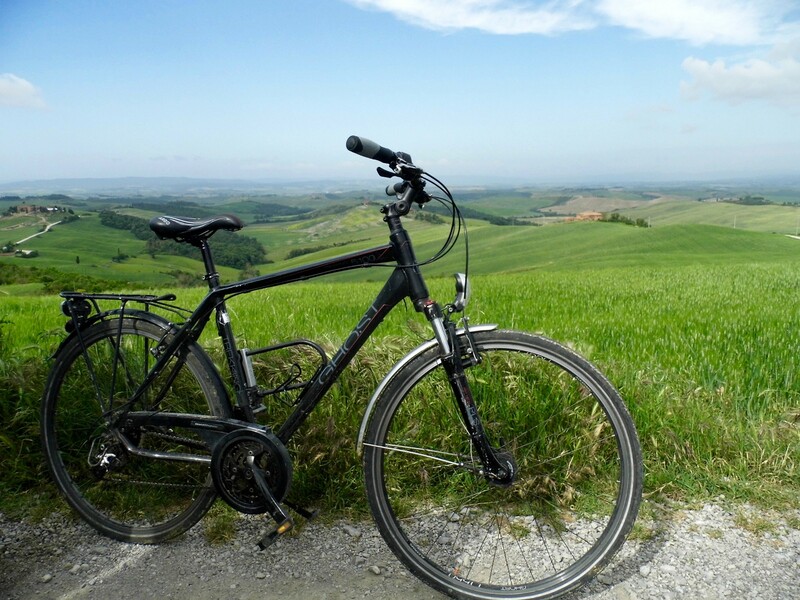 So the best route to cycle through Tuscany must be the quietest, and go through the best areas for scenery and history. Although, when you avoid the main roads it usually means hills. 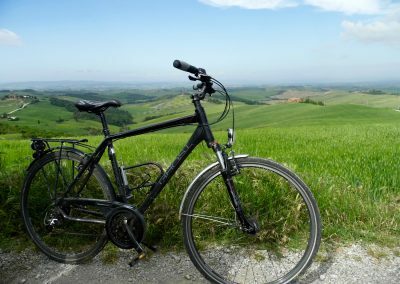 The National Routes in Italy are great, but to get to and from Siena we have to come away from these routes and find some quiet roads in the countryside. Some of these have some traffic, but the ones chosen were the safest possible. The longest days are 4 and 5, but most days have some major climbs. The cities mostly selected themselves and these are fascinating to visit. The small villages chosen for lunch and on three of the nights will be interesting for different reasons. Keeping a good distance between stages was difficult on this trip, so we have ended up with two days over 100k, with hills all day – you could break this up for a more leisurely trip. 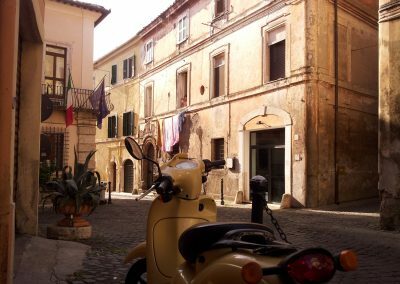 Like most old Italian cities, the day begins cycling through the tiny back-streets, where you can see the everyday business going on as usual. Bologna however is particularly charming with beautiful streets and arcades. The Apennines are the back-bone of Italy. Badi is not quite on the top of the mountain range, so the first couple of hours are still full of climbs. The ride into Florence is lovely, following the river and enjoying the views from both sides of the Fiume Arno. 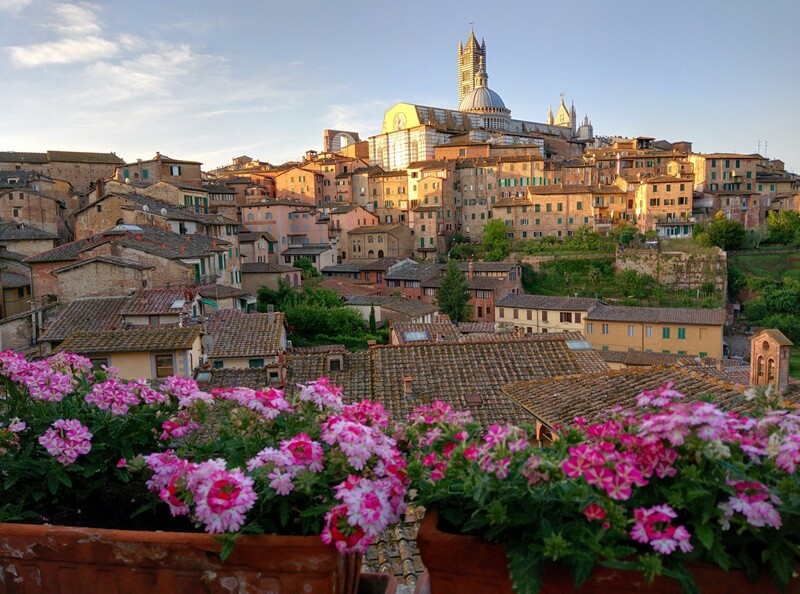 The excitement builds as you enter Siena through the city walls and into the narrow streets. It is hard to believe that horses could be raced through these streets, but it happens twice a year in the Palio di Siena. The city walls were even more spectacular heading out, and you are soon into the countryside. 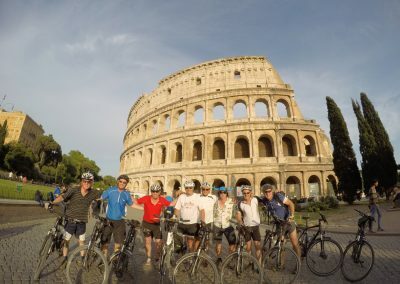 The next big city you see will be Rome with three days cycling to get there. Next is a lovely descent through Bagni and down towards Orvieto, then flat along the valley. The small hill up to Baschi is worth it, as the bar in the centre does great ice-creams, and across the road is a water fountain to fill up your bottles. 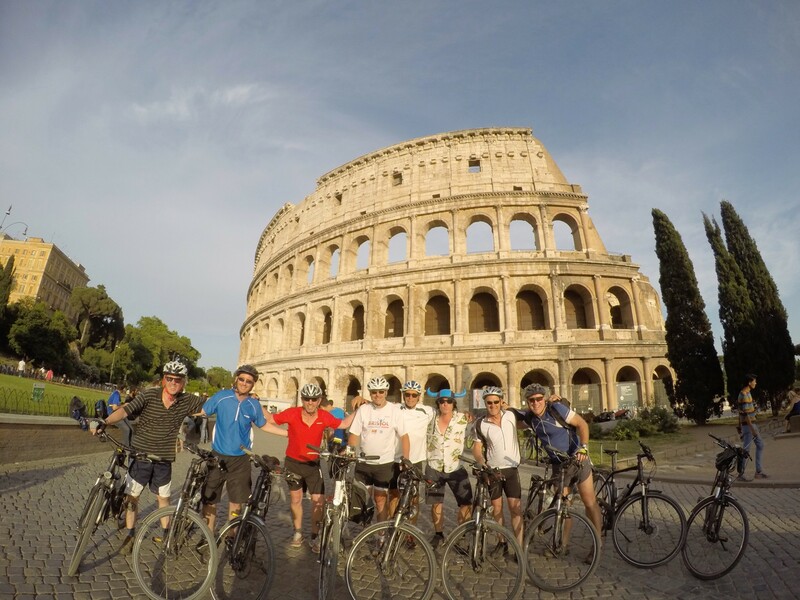 If you are brave enough it is a great experience cycling through the centre of Rome – remember that Rome has plenty of cycle paths, just like your own city, but the drivers on the roads may treat you more like a pest, so be careful.